The Who’s 1965 anthem furiously announced the arrival of a new generation whose values differed markedly from those of its predecessors. If current tax function leaders tune in to the thirty- and forty-somethings in their ranks, they’ll hear about similarly dramatic changes regarding the technology tools the function will soon need to survive and thrive. Like The Who, they have a blunt message: What earned current tax executives their spot atop the function won’t necessarily cut it for future tax leaders. Future tax executives and their departments will need to attract a new breed of technically skilled talent and implement a new breed of tax data management tools. These needs are being driven by a daunting combination of new compliance requirements, growing compliance risks, a widespread move toward real-time tax reporting, technology transformations and related organizational changes, and heightened audit committee expectations, among other factors. 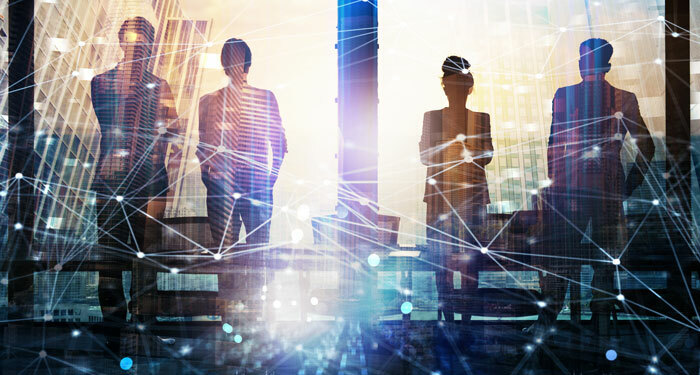 Current and future tax executives striving to ensure their functions can flourish should understand this new model for success, the drivers behind it, and how they can best address changing talent and technology needs. bring strategic value through thoughtful tax-planning ideas. Although this set of specifications remains necessary, it is no longer complete. The incoming generation of tax vice presidents and leaders will need to be much more technologically savvy than we are, and they will need to seed their function with more technology skills and advanced tools. When past generations of tax leaders needed a report to be generated from data stored in an accounting system, they simply called up the information technology (IT) people and asked them to produce it. For a variety of reasons, those days will soon be gone. Fortunately, tax-technology talent and tools are becoming more readily available. Accounting, law, and specialty financial firms are hiring new graduates who possess the requisite accounting/legal/finance major along with IT minors or significant IT knowledge. Plus, these newly hired professionals are gaining exposure to the rapidly expanding set of advanced technology deployed to support back-office functions and processes, such as Sarbanes-Oxley (SOX) compliance testing. Robotic process automation (RPA) can greatly enhance the performance of a wide range of finance and accounting activities, including operational accounting, general accounting, financial reporting, external reporting, treasury processes, planning, budgeting, and forecasting, according to an Ernst & Young (EY) paper.1 A more recent EY report forecasts that at least thirty percent of current business processes will be affected by RPA; it also indicates that RPA is already being used in tax functions to improve provision and compliance processes, as well as other activities.2 Leading corporate finance and tax functions are already enlisting staffers to create “bots” to enhance a growing number of processes, including the aggregation of data for reporting purposes. Compliance-related data demands. While new domestic and global tax rules vary in nature, most share a common challenge: to produce and report much more detailed tax data. In the United States, state revenue departments now deploy powerful analytical tools, which enable them to require tax functions to furnish tax information at a much more granular level. New global requirements, including the Organisation for Economic Co-operation and Development’s country-by-country reporting rules, contain similarly detailed data-sharing requirements. Fulfilling these compliance requirements effectively and efficiently necessitates that tax functions deploy advanced tax data management tools. Board and audit committee expectations. As managing tax risk becomes more dependent on proper data and tool management, boards of directors have expressed growing interest in the quality of tools that tax functions use to achieve and sustain compliance and analysis. Audit committees are well aware that tax jurisdictions have little tolerance for any data management errors that their increasingly granular audits expose. Thus, audit committee members want to be assured that tax functions have the data management tools and talent necessary to ensure compliance and to effectively defend tax reporting before government agencies. Other finance functions within organizations—including treasury, accounts receivable, accounts payable, and investor relations—need these same resources, which forces tax to compete for the talent and budget. IT’s shifting role. IT is getting out of the business of running reports for back-office functions such as tax. Instead, more IT functions embrace an approach through which internal customers can access information they need from the organizational “data lake.” Operating this way requires tax functions to have the tools and technology expertise needed to access, report, and analyze tax data, enabling them to reclaim their own data. Advanced tax technology needs talent, and vice versa. Tax functions need technologically skilled tax experts to help make compelling business cases for new technology investments—and to make optimal use of those tools once they are in place. Having advanced technology also serves as an increasingly valuable recruiting tool. The best tax technologists do not want to join tax functions that work with outdated, inadequate legacy applications. Lean tax functions. Resource constraints, particularly within smaller and midsized companies, are driving tax functions to leverage new forms of automation to operate more efficiently. Because IA’s reports go to the audit committee, its recommendations are generally acted upon, particularly when a recommenda­tion reduces the risk of a material weakness or significant deficiency. Develop a tax-technology playbook. An effective playbook lays out the function’s tax-technology vision (i.e., a prioritized rundown of the department’s IT needs), a plan and a budget for achieving this vision, and the challenges along the way that must be addressed. This document also details all the information systems (e.g., ERP systems, other accounting systems, billing applications, and so on) that feed into the tax data repository; this challenging task is critical in assessing the function’s future needs. A significant amount of this information already may have been documented by corporate or finance IT, the corporate SOX group, external auditors, or the corporate internal audit group. The playbook should cover at least a three-year horizon and focus on implementing long-term solutions that benefit tax, corporate finance functions, and business units. It is important to avoid patchwork solutions; however, if you lack the necessary resources, think of ways to show your competency in implementing these solutions, which can help you achieve support for future projects. Hire more tax technologists. Hiring for technology skills does not necessarily mean finding those rare tax experts who are fluent in Java, Python, or C++. Instead, skilled tax technologists typically possess some of the following competencies: heavy experience with large ERP systems, including the latest releases of SAP and Oracle; systems implementation experience; the ability to write simple queries and handle some basic coding; and expertise with the offerings of a leading tax technology vendor. During my final few years leading Microsoft’s indirect tax compliance group, I sought out tax professionals who possessed one or more of those capabilities. These tax technologists addressed the need for specific skills while fostering an environment that helped us attract the best talent. Enlist internal audit (IA) as collaborators. While many functional leaders, including those in tax, may grimace at the mention of IA, the department can provide considerable help making the business case for more advanced tax data management technology. In many organizations, internal auditors no longer operate as regulators but rather as collaborators committed to working with other groups. They apply their objective expertise (which often includes substantive knowledge of the company’s systems) to identify and recommend improvements that make the organization more efficient and lower risk. Because IA’s reports go to the audit committee, its recommendations are generally acted upon, particularly when a recommendation reduces the risk of a material weakness or significant deficiency. Partner with IT. Although the IT function is getting out of the business of running old-school queries for internal customers, CIOs and their teams remain crucial collaborators regarding tax-technology investments. These purchases must adhere to the overall company/finance IT strategy the CIO oversees, as well as to specific technology selection, purchase, implementation, integration, maintenance, and vendor management policies and protocols set by the IT function. Cybersecurity requirements are important. For example, tax departments may need an additional firewall to protect personally identifiable information obtained via billing systems. Developing and sustaining a healthy relationship with IT will become even more important for future tax leaders as technology tools become a more significant driver of the tax function’s success. Key tax technologists should meet regularly with IT to ensure that the tax department’s vision of solutions aligns with IT strategy. Invest in and implement tax technology carefully. Once the business case passes muster and the tax technology has been purchased, tax leaders and their teams must turn their attention to the essential drivers of success in any technology solution: time, scope, and money. Adequate time must be allocated to implementation and integration with all relevant transaction and billing systems. The scope must address all relevant needs. Finally, from a budgeting perspective, tax leaders should secure adequate funding with their colleagues in corporate finance and accounting; this is especially important when funding extends beyond one year to ensure that the project is supported through completion. When implementing solutions, keep in mind that you may have to devote a full-time tax professional’s time to the project. This will be a key to your success. The Who’s early performances of its generational hymn often concluded with guitarist Pete Townshend slamming his guitar into the ground—a display that drove home the magnitude of the generational shift that was then playing out. Today’s generational shift atop the tax function may not be as loud or as sensational, but it is of a similar magnitude. That’s why current leaders should seek out and revere those on their tax team who understand the soaring value of technology, talent, and tools—especially future executives who have no idea what you’re talking about when you quote The Who. Michael J. Bernard is chief tax officer, transactional tax, at Vertex Inc.
“Robotic Process Automation in the Finance Function of the Future,” EY, 2016, www.ey.com/Publication/vwLUAssets/EY_-_Robotic_process_automation_in_the_Finance_function_of_the_future/$FILE/EY-robotic-process-automation-in-the-finance-function-of-the-future-2016.pdf. “What Role Will Robots Play in Your Tax Function?” EY, 2017, www.ey.com/Publication/vwLUAssets/EY-what-role-will-robots-play-in-your-tax-function-rpa/$FILE/EY-what-role-will-robots-play-in-your-tax-function-rpa.pdf.